FX Bobcat Mk2 in excellent near new condition, Reported to have fired a handful of shots, which the condition reflects. Save £345 compared to the new price. This superb gun was purchased brand new from us and has just sat in someone collection. It has had a scope fitted (4-12x50AO NikkoStirling Mount master) and comes with two magazines. This is the regulated version!!!! .22 (5.5mm) Calibre Pre Charged Pneumatic (PCP) Side Lever FX Royale Air Rifle. A mint condition version of this classic twin cylinder FAC .22 air rifle, complete with Hawke 3-9 x 40 telescopic sights, and sound moderator. Variable power up to circa 32 ft/lb. Package with Hawke Airmax EV 3-12x50 IR SF and Hawke Mounts. 177 FX XBarrel Kit Barrel and Probe. Very nice rifle. Some marks on the stock as expected. Comes complete with BSA 4x32 scope and silencer. Single shot. Fx Crown in green laminate comes with hardcase and 1 magazine. 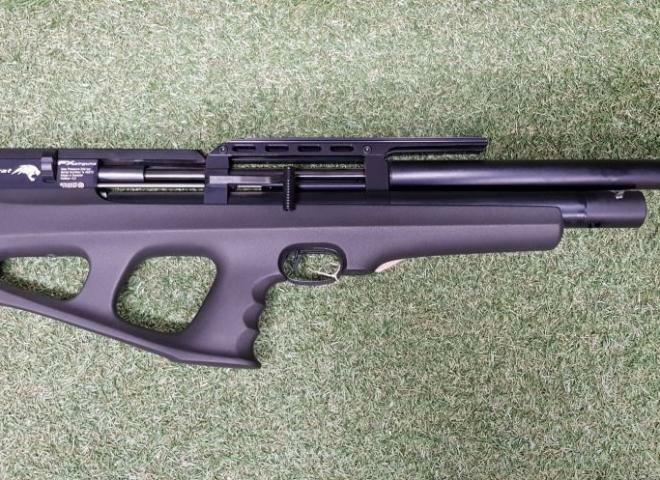 This very lastest light weight sporter from FX Airguns packs a punch! It boasts a shrouded barrel, Variable power and a comfortable synthetic stock. The name FX Airguns is linked with top quality products. This rifle is fitted to an Aeron FT/HFT adjustable gun stock. Brand New FX Wildcat Synthetic MK2. This rifle is in great condition and comes with 3 magazines. It's 2 years old and comes complete with filling adaptor and 3 months warranty. The Impact now incorporates the new FX Smooth Twist X Barrel which is a fully rifled barrel liner. An excellent condition rifle with super standard features also carbon fibre wrap to barrel, with carbon fibre silencer. 2 magazines and the charging probe are included in the price. Synthetic Ambi Stocked PCP with power adjuster and magazine, all for only £755. This gun comes complete with a sound moderator, fitted case and barrel conversion to fire arrows!! Four arrows are included.